Can I Restore Recently Deleted Files? I accidentally deleted pictures and docs from a specific folder on my computer recently. The folder is still there. I have done a system restore but it didn’t work. I don’t see them on Recycle Bin too. I need to access recently deleted files now. Please do advice. Thanks. Many users feel it’s almost impossible to recover recently deleted files when they can’t restore them from Recycle Bin. But is this really the only truth? The answer is a big “No”. No matter how files are lost, you can possible retrieve them as long as they haven’t been overwritten by new data on your device. If you want to recover recently deleted data, you’d better stop using the drive immediately and find a reliable data recovery program for help. Here I would like to recommend Wondershare Data Recovery, or Wondershare Data Recovery for Mac for you. This application enables you to recover recently deleted files from Windows computer, Mac device, and storage media like memory card, external hard drive, USB flash drive, etc. 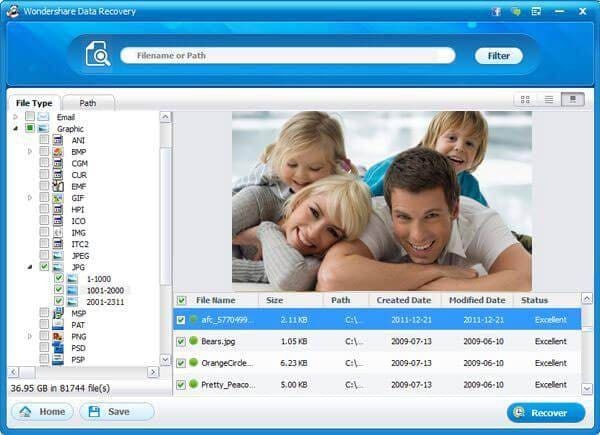 The easy-to-use and safe interface of the program helps you to recover all kinds of recently deleted files, including photos, videos, audio files, documents and more. 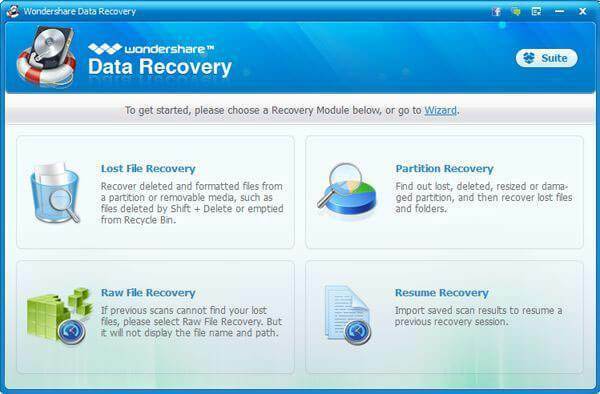 You can get a trial version of Wondershare Data Recovery to restore recently deleted files now. Please download the right version for your computer OS. Both versions have similar operations and I’ll show you to recover recently deleted data with Windows version. Note: To prevent recently deleted file from being overwritten, please make sure you haven’t make any change on its original drive and do not install the program on that drive too. After running Wondershare Data Recovery on your PC, you’ll see a window as follow. The program will provide you with 3 recovery modes. 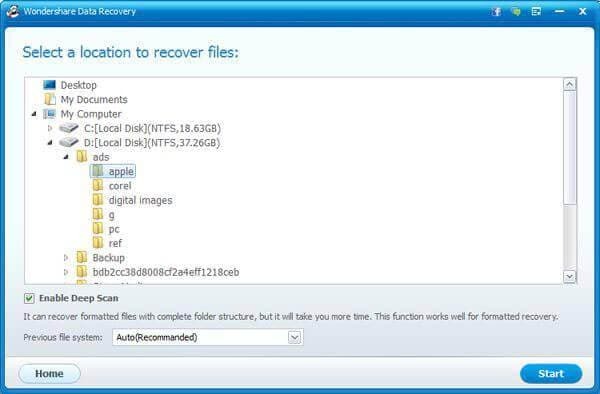 To recover recently deleted files, let’s select “Lost File Recovery” mode to begin. In this step, you need to select the drive that you’re going to recover recently files from in the program window and click “Start” to begin scanning the drive. Note: If files are deleted from an external storage media, you need to connect it with your computer and make sure it can be recognized as a drive. After scanning, all found contents on the scanned drive will be displayed in ‘File Type” or “Path” categories in the window. You can view original file names or preview some file types such as pictures and documents to check how many of recently deleted files can be recovered. Then you only need to mark your recently deleted files and click “Recover” to save them on another drive on your computer.